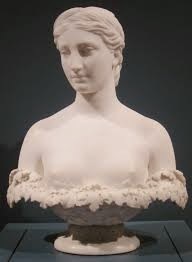 I didn’t expect that investigating one of the anaemic Grecian females sculpted by the 19th-century American Hiram Powers would land me slam in the middle of industrial unrest at Walmart. Starting this weekend, ‘Walmart Moms’, who have previously fought disputes over maternity and health benefits, are striking for full-hours contracts, adequate wages, and the reinstatement of co-workers sacked for activism. How are 19th-century neoclassicism and the Walmart Moms connected? Because Powers’ sanitised ‘Proserpine’ is on show at the 3-year-old Crystal Bridges Museum (Bentonville, Arkansas), free of charge to visitors and the pet ‘philanthropic’ (tax-dodging?) 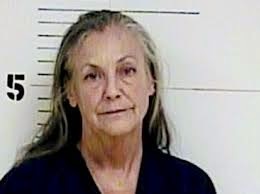 project of Walmart heiress Alice Walton. She has purchased costly artworks, often out-bidding others at auctions personally, by phone. 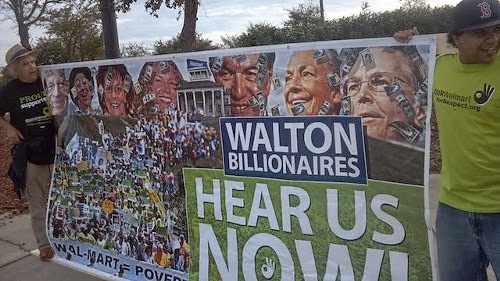 Walton is the third richest woman in the world. Along with five relatives, she controls a fortune equal to the wealth of the bottom 42 percent of all Americans combined. But I can’t find it in my heart to be really nasty about her. Money has not bought happiness. She has been married briefly but divorced twice. She has no children. She has been repeatedly in trouble for drink-driving. She has killed a (middle-aged female) pedestrian while at the wheel. Her museum’s catalogue is staggering. 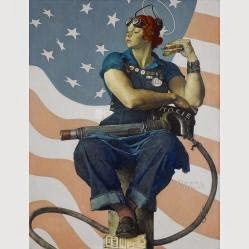 She owns Norman Rockwell’s iconic ‘Rosie the Riveter’ and Francis Criss’s ‘Day Shift’. The collection includes paintings of tobacco harvesters, fruit-pickers, gleaners, harvesters and shipbuilders. She has Romare Bearden’s revelation of African-American suffering in ‘Sacrifice’ and Jacob Lawrence’s ‘Ambulance Call’, which portrays the only medical care available to black people in New York City in the 1940s. So is she unconsciously revealing that deep down she knows that her vast unearned moneybags have come courtesy of exploited workers, especially women? Could she consciously be feeling guilty? 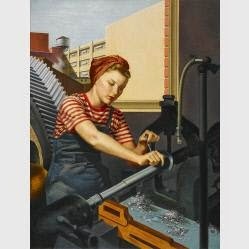 Or is she voyeuristically fascinated by pictures of labour which actually involves human muscles engaged with the material environment? Perhaps she is just cynically operating a massive PR exercise to diminish public anger at her obscene fortune? Or just plain stupid and insensitive? I can’t answer these questions, but I can direct you to a Facebook group where the protesting Walmart workers are gathering support ahead of the shareholders’ meeting next Friday. They will not be wearing the Walmart-brand 'Grecian Goddess' fancy-dress costume, which they can't afford. Most of them would rather be offered a raise than free entrance to an art gallery any day.